The Steamship William G. Mather (Official Number 224850) is a retired Great Lakes bulk freighter now restored as a museum ship in Cleveland, Ohio, one of four in the Great Lakes region. 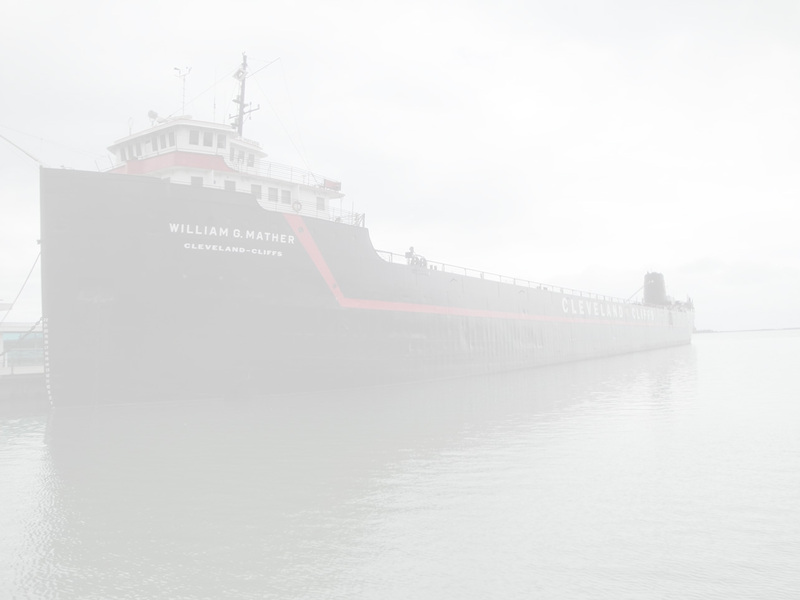 She transported cargo such as ore, coal, stone, and grain to ports throughout the Great Lakes, and was nicknamed "The Ship That Built Cleveland" because Cleveland's steel mills were a frequent destination. 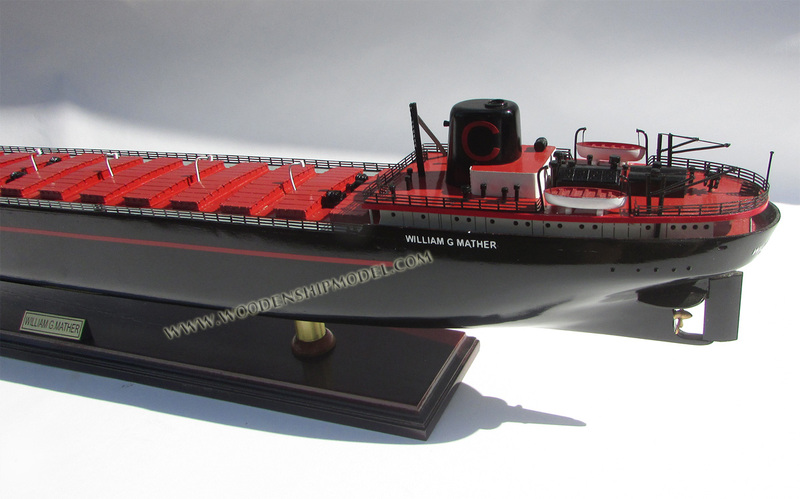 Note: from 1905 till 1925 the Cleveland-Cliffs Iron Company had another vessel named S.S. William G. Mather (O.N. 202542) in their fleet, also built by Great Lakes Engineering Works. This former SS William G. Mather was renamed SS J. H. Sheadle in 1925, and SS H. L. Gobeille in 1955. After she had been sold to Gartland Steamship Co. she was renamed SS Nicolet in 1965. She was built in 1925 by Great Lakes Engineering Works, Ecorse, Michigan, as the flagship for the Cleveland-Cliffs Iron Company and was named in honor of the then-company president, William Gwinn Mather. William G. Mather remained the Cliffs' flagship until Edward B. Greene (now Kaye E. Barker of the Interlake Steamship Company fleet) was built in 1951-52. She remained an active part of the Cliffs' fleet until the end of the 1980 navigation season. 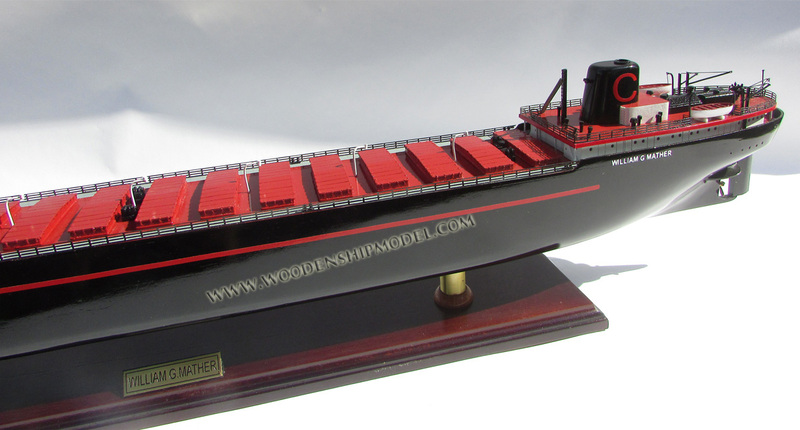 In order to supply the Allied Forces need for steel during World War II, William G. Mather led a convoy of 13 freighters in early 1941 through the ice-choked Upper Great Lakes to Duluth, Minnesota, setting a record for the first arrival in a northern port. This heroic effort was featured in the 28 April 1941 issue of Life. She was one of the first commercial Great Lakes vessels to be equipped with radar in 1946. In 1964, she became the very first American vessel to have an automated boiler system, manufactured by Bailey Controls of Cleveland, Ohio. In 1985, Cleveland-Cliffs sold its two remaining operating steamers to Rouge Steel Company, and gradually sold off its idle vessels until only William G. Mather remained, laid up in Toledo, Ohio where she had been since 1980. On 10 December 1987, Cleveland-Cliffs, Inc. donated the steamer William G. Mather to the Great Lakes Historical Society to be restored and preserved as a museum ship and floating maritime museum. After she was brought to Cleveland in October 1988 and funding was acquired from local foundations, corporations, and individuals, restoration began. Fire damage to William G. Mather's galley and after cabin spaces required a major restoration effort. All over the vessel, most of the work was supplied by volunteers who repaired, cleaned, chipped, painted, and polished brass in order to restore William G. Mather's former elegance. In October 1990, she was moved to her permanent berth at the East Ninth Street Pier on Cleveland's North Coast Harbor. In September 1994 the Great Lakes Historical Society divested itself of the museum. Due, in large part, to a groundswell of local support to keep the Mather in Cleveland, the Harbor Heritage Society was created to negotiate a new lease agreement with the city. Incorporated in June 1995, Harbor Heritage formally acquired William G. Mather on 22 July 1995, and in 1996 continued to oversee William G. Mather's ongoing restoration, promotion, and development as a historic vessel. After 10 years of negotiations, the City Of Cleveland, represented by Mayor Jane L. Campbell signed a 40-year lease on 15 June 2003, allowing William G. Mather to stay at its East 9th Street berth. 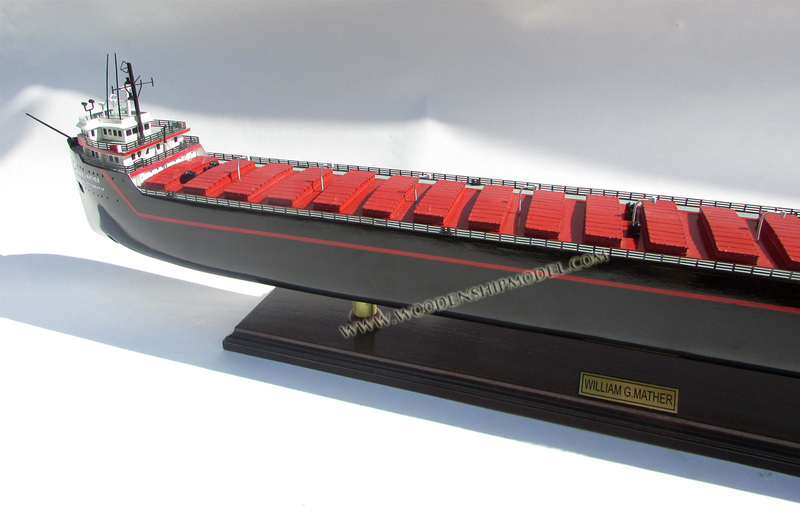 On 30 July 1995 the Steamship William G. Mather was dedicated as an American Society of Mechanical Engineers National Historic Mechanical Engineering Landmark for her 1954 installation of a single marine boiler and steam turbine engine, her 1964 installation of the Bailey 760 Boiler Control System and American Shipbuilding AmThrust dual propeller bow thruster—all firsts for U.S.-Flag Great Lakes vessels. She had a sister ship of the same class, Joseph H. Frantz, but was later converted to diesel, and was scrapped in 2005 after 80 years of continuous use.